All Day Uke for Intermediate Players! 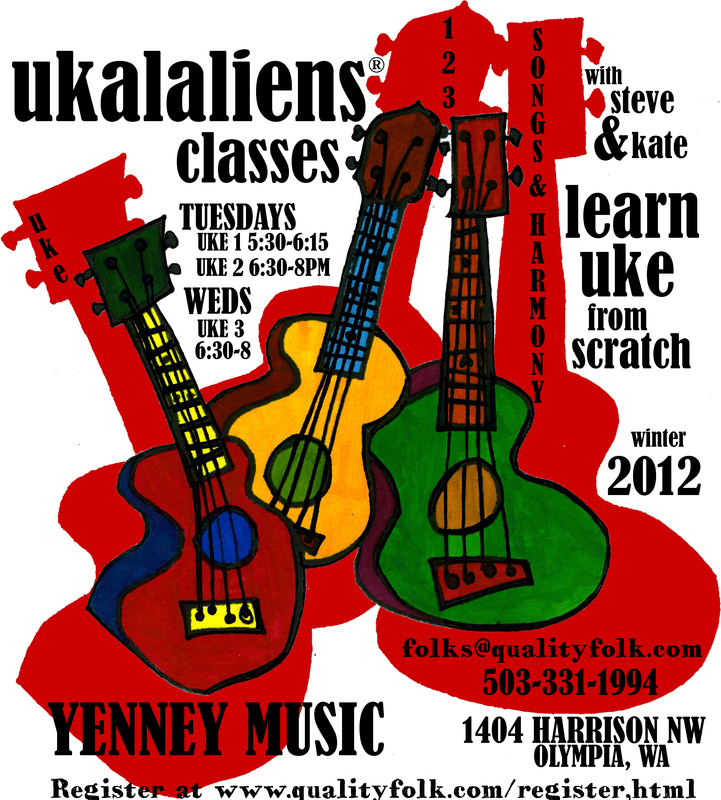 UKULELE DOJO, Portland OR – Are first-position doldrums setting in? Are you ready to get past first base on the ukulele? Do you want your uke to accompany your singing with style? Do you want to go somewhere new on your fingerboard? Bust out from simple strumming and move into fingerpicking patterns and rhythms that move with feeling. Take a day with Kate & Steve to learn simple ways to grow your personal uke style. Learn how to find the right key and transpose easily. The left hand will blaze a new trail up the fingerboard as the right hand works the strings in simple intervals to move with the melody. Kate & Steve teach uke with tunes and lyrics so be ready to sing and play! Learn how to play well with others and the secret to bringing songs and tunes to life. Kate & Steve will draw from a broad range of music to demonstrate techniques that can be applied across styles. Handouts provided. Recording devices encouraged. This workshop is appropriate for advanced beginners to intermediate players who are comfortable with first position chords and strumming. Basic picking ability is helpful but not required. Ukulele lovers will come away with skills that enhance solo, duet and ensemble playing. Collectively, Kate and Steve have boiled more than a hundred years down to a musical roux that offers tasty learning no matter what the mix. Co-creators of the Ukalaliens Songbook and several Homespun DVD’s, find out more about Kate & Steve at http://www.qualityfolk.com.